Greeley Avenue is Off to Round Two of the Burger Battle!! 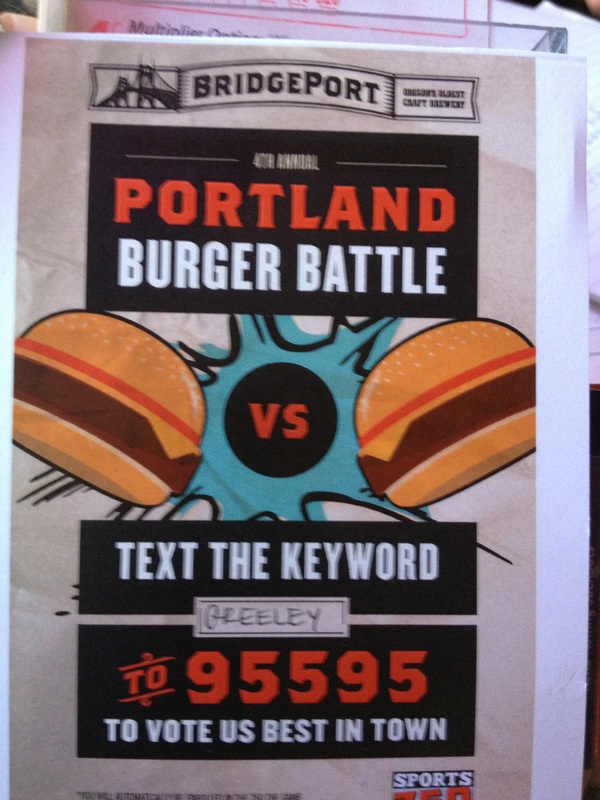 I wanted to let everyone know, thanks to your votes, Greeley Avenue Bar & Grill has moved to round 2 of the burger battle! Check here at 5 pm to see daily results. The Burger Bracket ranks by the number of votes received, so don’t miss your chance to support Greeley Avenue Sports Bar & Grill! This entry was posted in Entertainment and tagged & grill, bar, burger battle, Greeley Avenue Bar & Grill, results, text by greeleyave. Bookmark the permalink.